Most of my 2017 adventures involved family. My three year old backpacked for the first time in the Santa Cruz Mountains in June. 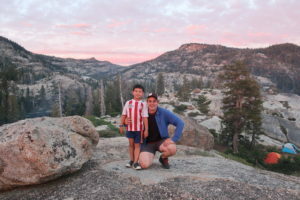 I backpacked with my oldest in the Emigrant Wilderness just north of Yosemite in July. 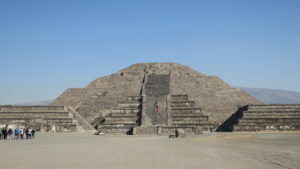 All the trips included multiple families and friends & I organized many of them. Other family overnight trips included backpacking Angel Island in February, Pinnacles National Park in March, Memorial Park over July 4th, Huddart County Park in August, Cutter Scout Camp in the Santa Cruz Mountains in August, Loon Lake Chalet in November, and Half Moon Bay State Beach in December. We took 9 overnight family weekend trips in 2017. Other notable day hikes featured the wildlife of the Bay Area. Most importantly on these trips, I was able to catch up with family, friends, and my boys’ friends in beautiful settings. 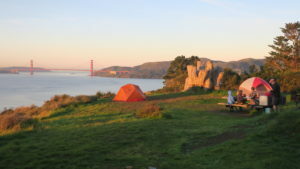 Two of the camping trips – Cutter Scout Camp & Half Moon Bay State Beach were with the Cub Scouts. I am now the Den Leader for Den 7, Pack 58. The Half Moon Bay trip involved almost 20 families and 50 people. It was the first camping trip for many. 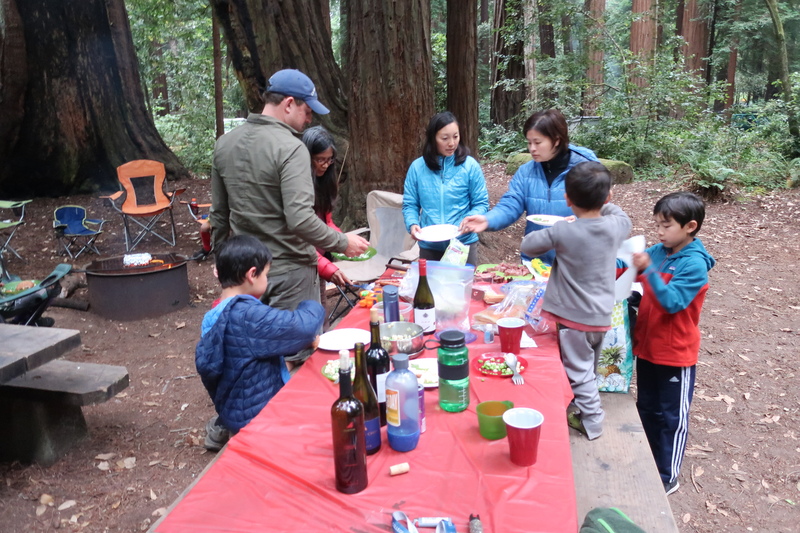 I enjoyed sharing the gift of the outdoors with many boys, their siblings, and families. My Mom also dusted off my original Cub Scout & Boy Scout Uniforms from 30+ years ago. I continue to volunteer & serve on the board of two excellent Non Profits – the San Mateo County Parks Foundation & Trail Center. I also support their social media sites. A high proportion of my Bay Area adventures take place in San Mateo County Parks. 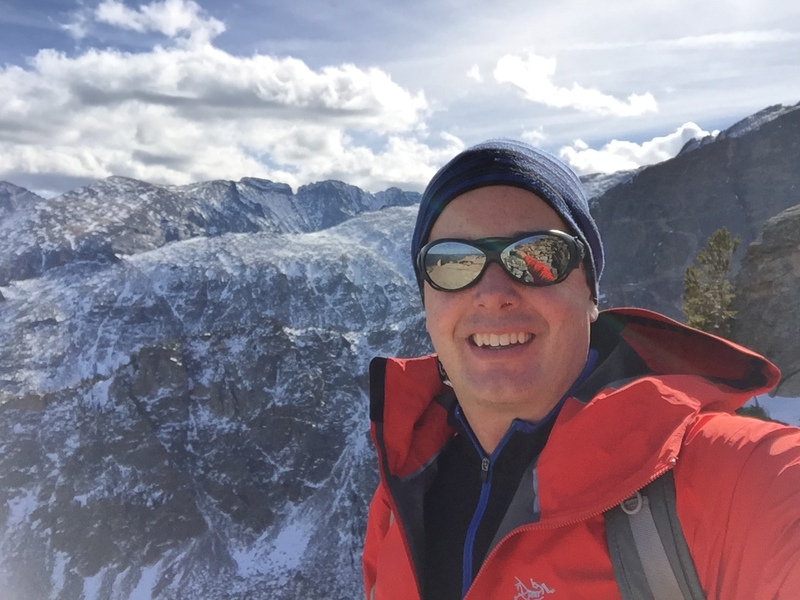 Rocky Mountain National Park – I visited Rocky Mountain National Park for the first time and climbed Flat Top Peak in October after the first snows. Sequoia National Park & Kings Canyon – With my buddy Mark, I visited the SEKI parks for the first time. 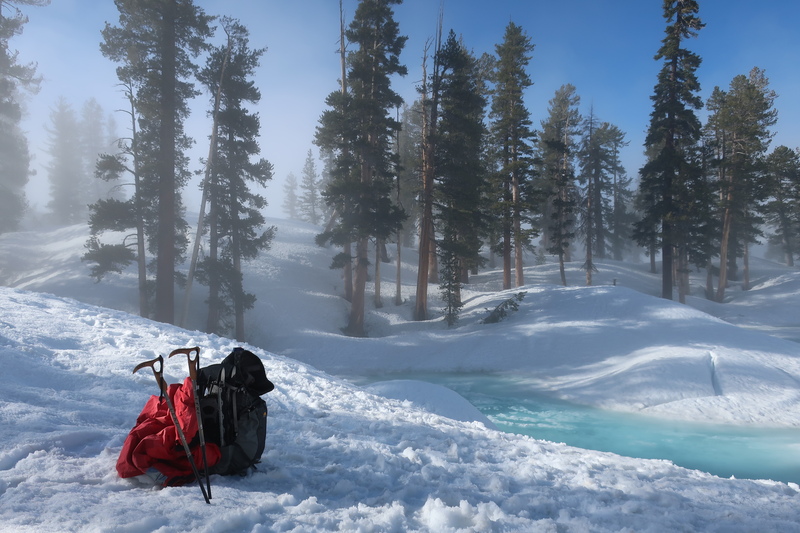 Snow, rolling fog, & cold temperatures at night made the trip more interesting. Cycling CA 1 along Big Sur – I cycled to Julia Pfeiffer State Park along a mostly deserted CA 1 due to limited auto access from the winter landslides. Fishing & packrafting adventures were firsts in 2017. My Dad is an accomplished fisherman, and he’s shared that passion with the boys. Inspired by my Dad in 2017, I went fishing multiple times in the San Francisco Bay & Pacific Ocean with the boys. In 2018, I hope become a better fisherman and catch more fish outside of the market. We also look forward to fishing with Grandpa in 2018 as well. 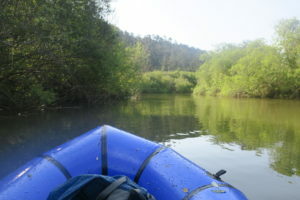 A packraft opened up CA’s waterways to new adventures. I appreciated the Alpacka’s packraft portability, durability, and ability to transport 1 adult and two boys. As a family, we packrafted Pillar Point Harbor on the coast and Redwood Creek Estuary in SF Bay. 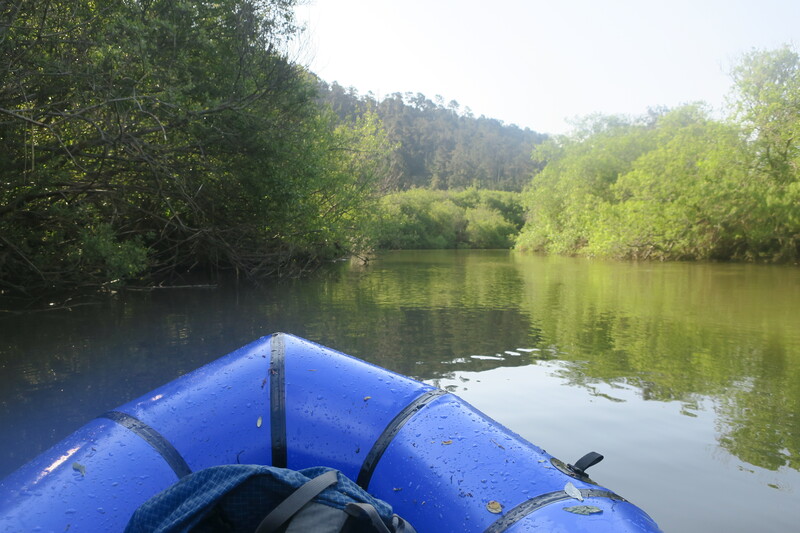 As solo adventures, I hiked up and paddled downstream in local Bay Area streams in Pescadero Marsh & Big Basin State Parks. My scariest 2017 moment took place with down trees and a rushing stream along Waddell Creek. I expanded my trail running in 2017. 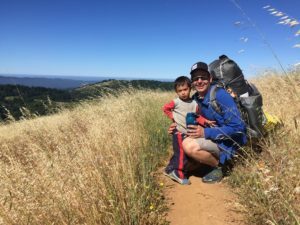 I met personal goals that once seemed impossible – like running to the top of Montara Mountain from sea level and running the full length of Sweeney Ridge. I’ve upped my distances as well – running 5k segments during the week and longer runs during the weekend. I enjoy trail running since I can cover the same ground as hiking in much less time. Trail running is the perfect pursuit for those who enjoy the outdoors with limited time. Our family spent several weeks in China this year. Our boys met their 94 year old great grandfather. 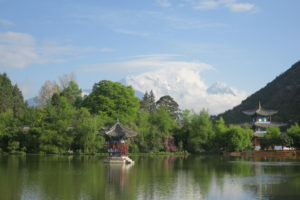 They also met many Panda’s at Chengdu’s Panda Base. We visited the Shangri La inspired location of Lijiang in Yunnan Province and Jiuzhaigou National Park & the ancient trading town of Songpan in Sichuan. This was the longest time I took off since 2008, and it was excellent for all. We also spent a week in Lake Tahoe in August – one of my favorite spots. We also spent a long weekend hiking and eating in Vancouver, Canada. We spent both 2016 and 2017 holidays with my parents, sister and her family in Colorado as well. I feel fortunate to have an interesting & rewarding career. I’ve had an extremely busy work year with my business unit merging with another. I was also able to visit outdoor sites during two international worktrips. 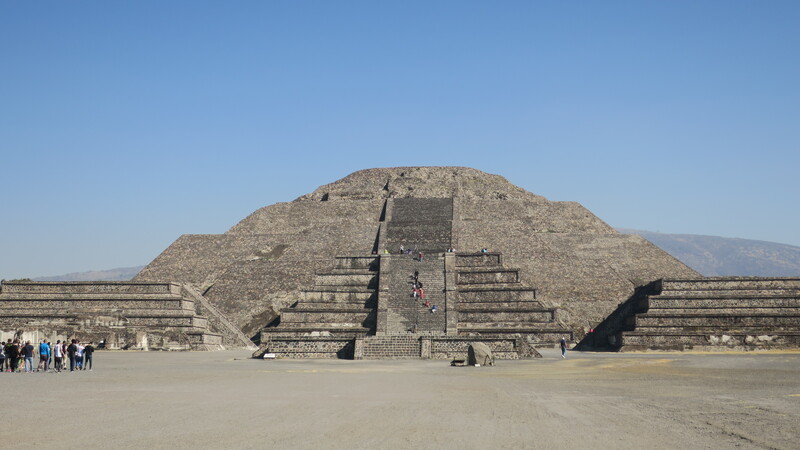 I climbed the Mexican Pyramids in January and Hiked the English Countryside in October. I’ve shared my positive experiences with multiple outdoor companies in 2017. I am a Woolx (softest merino wool) team member. I won a contest with Arc’Teryx. I worked with Alpine Dam Hats & Alpine Start Coffee. I invested in My Trail – which is the next generation of GoLite. Thank you to all of these outstanding Mission Driven companies that help individuals enjoy the outdoors. I continue to share my passion for the outdoors on my Technolgy Hiker website, instagram, twitter, and facebook page. 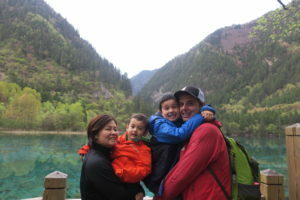 I also started the Family Hiker Facebook, Twitter, and Instagram sites – focused on Family Adventures. 2018 promises to be another excellent year, and I have a number of trips planned. Hopefully, we’ll continue to find time outside with busy jobs, family responsibilities, and increased sports (soccer) commitment for the boys. I’m most excited about sharing the outdoors and watching the boys take on new challenges. Thank you to my family and friends who have supported me. Thank you again to everyone who has read this and with whom I’ve been able to share my love of the outdoors. Happy New Year.